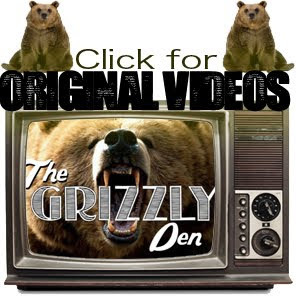 The Grizzly Den: Canadian Pride. Another moment where I feel pretty stoked to be a Canadian. Looks like Elijah Porter didn't agree with the call made on the 4/100 relay race where the Canadians were disqualified. "We're Canadian. 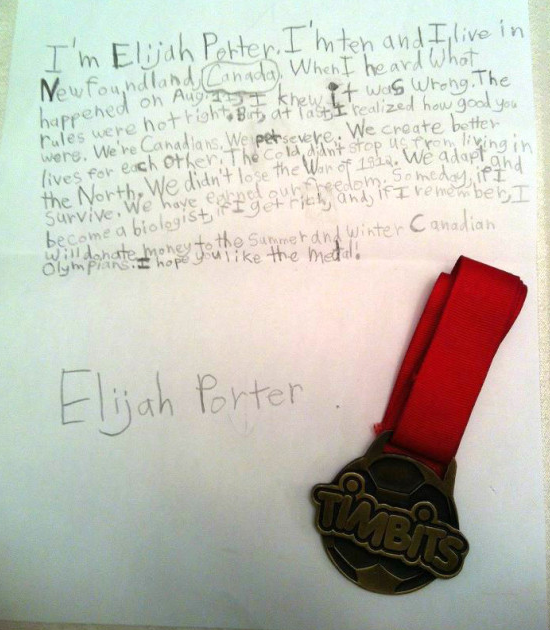 We persevere," writes Elijah. "We create better lives for each other. The cold didn't stop us from living in the North. We didn't lose the War of 1812." Legit 10 year-old words if I've ever seen em.